Like a magician employing sleight of hand, the protein mitoNEET -- a mysterious but important player in diabetes, cancer and aging -- draws the eye with a flurry of movement in one location while the subtle, more crucial action takes place somewhere else. Using a combination of laboratory experiments and computer modeling, scientists from Rice University and the University of California, San Diego (UCSD) have deciphered part of mitoNEET's movements to gain a better understanding of how it handles its potentially toxic payload of iron and sulfur. Their research was published online on January 23, 2012 in PNAS. "We scrutinize proteins with an unconventional approach," said Dr. José Onuchic, Rice's Harry C. and Olga K. Wiess Professor of Physics and Astronomy and co-director of the Center for Theoretical Biological Physics. "We use biophysics to probe biology rather than the other way around. Using computational theory, we find structures that are possible -- regardless of whether they've already been observed experimentally -- and we ask ourselves whether these structures might be biologically significant." 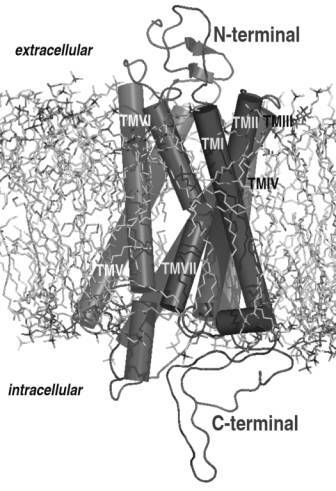 Study co-leader Dr. Patricia Jennings, professor of chemistry and biochemistry at UCSD, who has collaborated with Dr. Onuchic for 15 years, said they save a great deal of time by using structural biophysics to guide their experiments on a wide variety of targets. For example, Dr. Jennings' laboratory determined less than five years ago that mitoNEET contained a novel folded structure. Since then, her lab has been using insights gained from static and dynamic snapshots of the protein to guide biological and biochemical studies. "I think people forget that proteins are machines with moving parts," said study lead author Elizabeth Baxter, a UCSD graduate student who works under the guidance of both Drs. Onuchic and Jennings. A team of biologists at the University of York in the UK has made an important advance in our understanding of the way cholera attacks the body. The discovery could help scientists target treatments for the globally significant intestinal disease which kills more than 100,000 people every year. 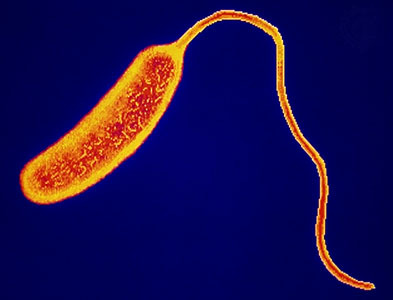 The disease is caused by the bacterium Vibrio cholerae, which is able to colonize the intestine usually after consumption of contaminated water or food. Once infection is established, the bacterium secretes a toxin that causes watery diarrhea and ultimately death if not treated rapidly. Colonization of the intestine is difficult for incoming bacteria as they have to be highly competitive to gain a foothold among the trillions of other bacteria already present in situ. Scientists at York, led by Dr Gavin Thomas in the University’s Department of Biology, have investigated one of the important routes that V. cholera takes to gain this foothold. To be able to grow in the intestine, the bacterium harvests and then eats a sugar, called sialic acid, that is present on the surface of our gut cells. Collaborators of the York group at the University of Delaware, USA, led by Professor Fidelma Boyd, had shown previously that eating sialic acid was important for the survival of V. cholerae in animal models, but the mechanism by which the bacteria recognize and take up the sialic was unknown. 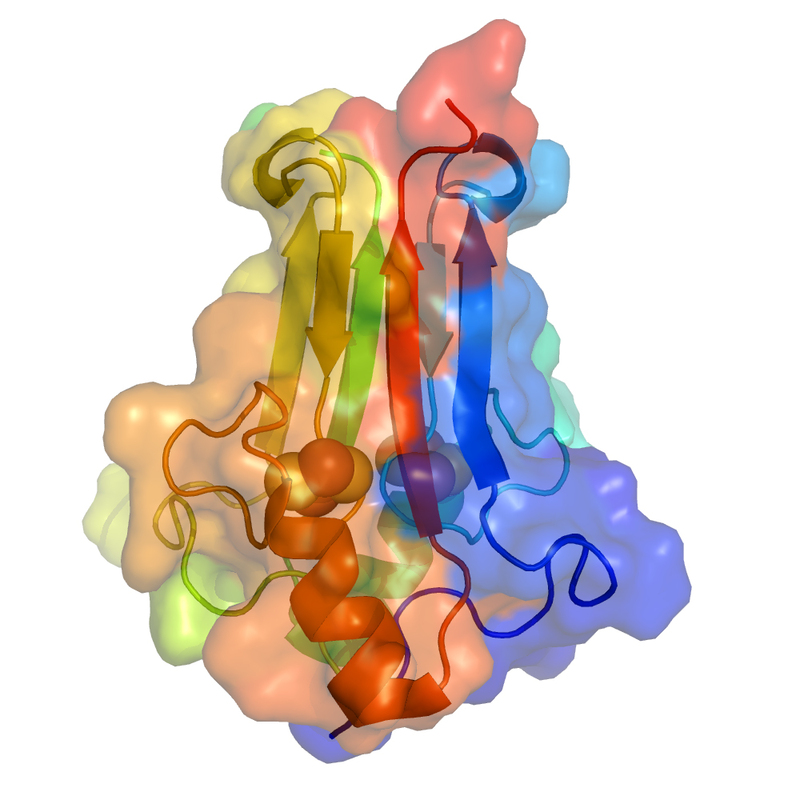 The York research demonstrates that the pathogen uses a particular kind of transporter called a TRAP transporter to recognize sialic acid and take it up into the bacterial cell. The transporter has particular properties that are suited to scavenging the small amount of available sialic acid. The research also provided some important basic information about how TRAP transporters work in general. Dr.
Scientists at Trinity College Dublin (TCD), Ireland, have developed a new vaccine to treat cancer at the pre-clinical level. The research team led by Professor Kingston Mills, Professor of Experimental Immunology at TCD discovered a new approach for treating the disease based on manipulating the immune response to malignant tumors. The discovery has been patented and there are plans to develop the vaccine for clinical use for cancer patients. The first cancer vaccine Sipuleucel-T (Provenge™) was licensed last year for use in prostate cancer patients unresponsive to hormone treatment. Unfortunately, this cell-based vaccine only improves patient survival by an average of 4.1 months. Vaccines for infectious diseases are highly effective at generating immune responses that prevent infection with bacteria or viruses. The immune system can also protect us against tumors and, in theory, a vaccine approach should be effective against cancer. In practice, this has proven very difficult because, unlike infectious diseases, tumors are derived from normal human cells, and are not made up of foreign substances or antigens capable of triggering an immune response. 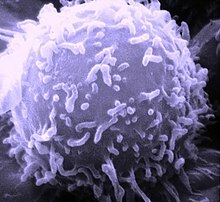 The tumors instead produce molecules that suppress the efficacy of the immune system. They generate regulatory cells that inhibit the immune response that could potentially clear the tumors. Professor Mills' group has developed a novel vaccine and immunotherapeutic approach that can overcome these obstacles and has the potential to significantly improve on existing technologies. The therapy is based on a combination of molecules that manipulates the immune response to curb the regulatory arm while enhancing the protective arm, allowing the induction of specialist white blood cells called killer T cells to target and eliminate the tumors. A healthy human genome is characterized by 23 pairs of chromosomes, and even a small change in this structure — such as an extra copy of a single chromosome — can lead to severe physical impairment. So it's no surprise that when it comes to cancer, chromosomal structure is frequently a contributing factor, says Professor Ron Shamir of the Blavatnik School of Computer Science at Tel Aviv Universitu (TAU). Now Professor Shamir and his former doctoral students Dr. Michal Ozery-Flato and Dr. Chaim Linhart, along with fellow researchers Professor Shai Izraeli and Dr. Luba Trakhtenbrot from the Sheba Medical Center, have combined techniques from computer science and statistics to discover that many chromosomal pairs are lost or gained together across various cancer types. Moreover, the researchers discovered a new commonality of chromosomal aberrations among embryonic cancer types, such as kidney, skeleton, and liver cancers. These findings, published on June 29, 2011 in Genome Biology, could reveal more about the nature of cancer. As cancer develops, the genome becomes increasingly mutated — and identifying the pattern of mutation can help us to understand the nature and the progression of many different kinds of cancer, says Professor Shamir. As cancer progresses, the structure of chromosomes is rearranged, individual chromosomes are duplicated or lost, and the genome becomes abnormal. Some forms of cancer can even be diagnosed by identifying individual chromosomal aberrations, notes Professor Shamir, pointing to the example of a specific type of leukemia that is caused by small piece of chromosome 9 being moved to chromosome 22. When analyzing many different kinds of cancer, however, the researchers discovered that chromosomal aberrations among different cancers happen together in a noticeable and significant way. Could preventing colon cancer be as simple as developing a taste for yerba mate tea? In a recent University of Illinois study, scientists showed that human colon cancer cells die when they are exposed to the approximate number of bioactive compounds present in one cup of this brew, which has long been consumed in South America for its medicinal properties. "The caffeine derivatives in mate tea not only induced death in human colon cancer cells, they also reduced important markers of inflammation," said Dr. Elvira de Mejia, a University of Illinois associate professor of food chemistry and food toxicology. That's important because inflammation can trigger the steps of cancer progression, she said. In the in vitro study, Dr. de Mejia and former graduate student Sirima Puangpraphant isolated, purified, and then treated human colon cancer cells with caffeoylquinic acid (CQA) derivatives from mate tea. As the scientists increased the CQA concentration, cancer cells died as a result of apoptosis. "Put simply, the cancer cell self-destructs because its DNA has been damaged," she said. The ability to induce apoptosis, or cell death, is a promising tactic for therapeutic interventions in all types of cancer, she said. Dr. de Mejia said they were able to identify the mechanism that led to cell death. Certain CQA derivatives dramatically decreased several markers of inflammation, including NF-kappa-B, which regulates many genes that affect the process through the production of important enzymes. Ultimately cancer cells died with the induction of two specific enzymes, caspase-3 and caspase-8, Dr. de Mejia said. "If we can reduce the activity of NF-kappa-B, the important marker that links inflammation and cancer, we'll be better able to control the transformation of normal cells to cancer cells," she added.